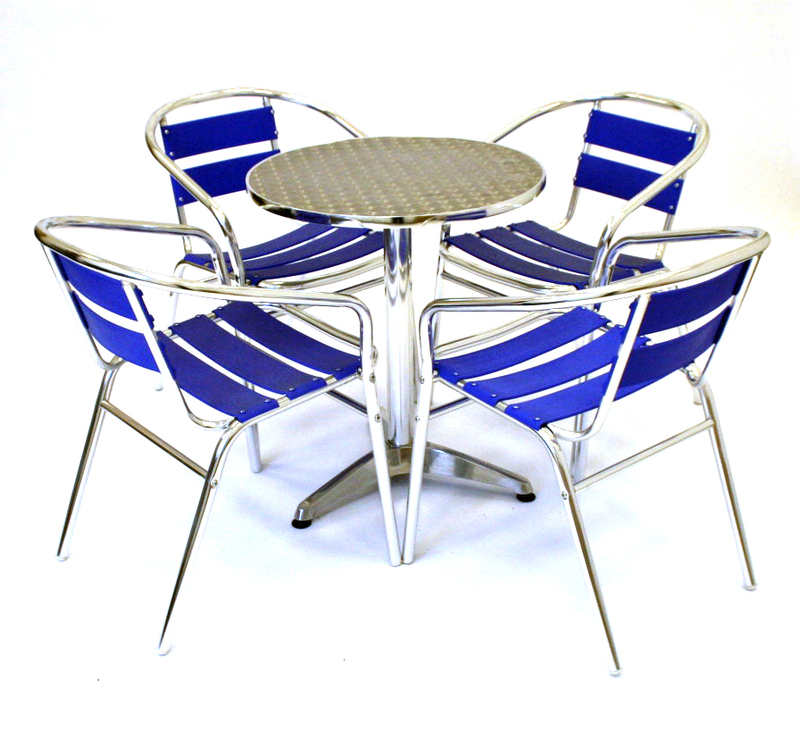 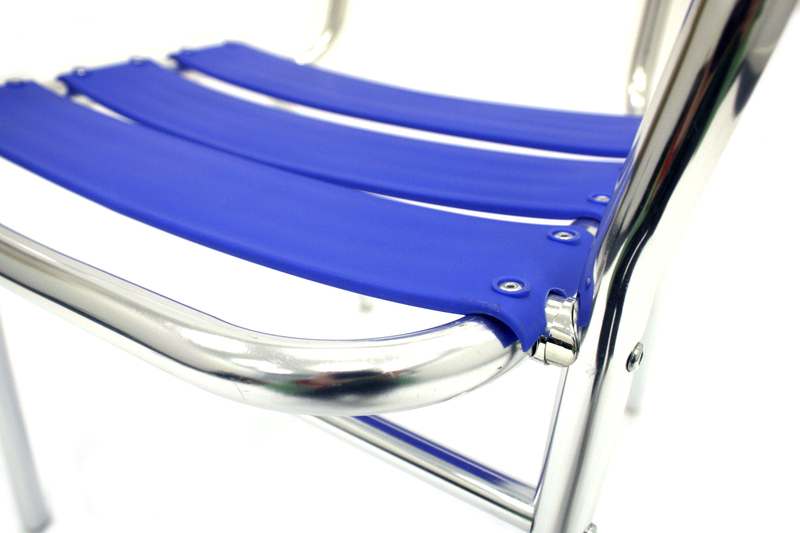 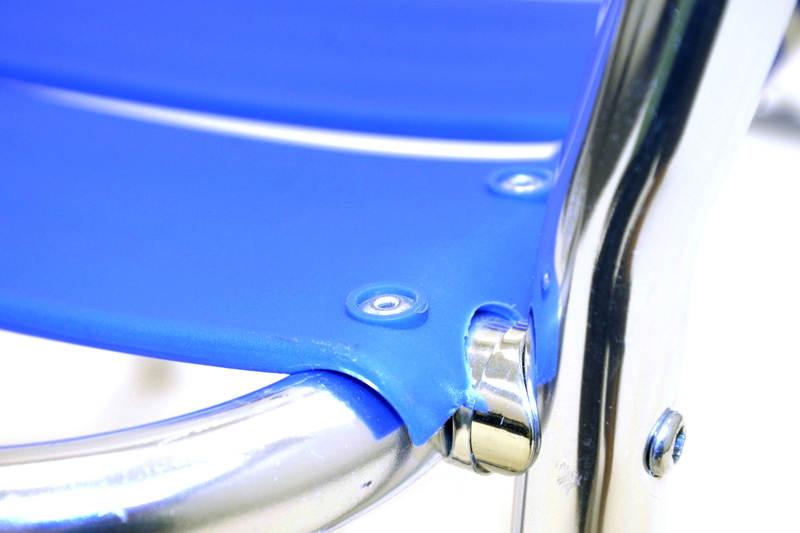 Blue plastic aluminium set comprising of 1 aluminium 60 cm diameter table (YB504) and 4 aluminium chairs with blue plastic seats and back (YE14). 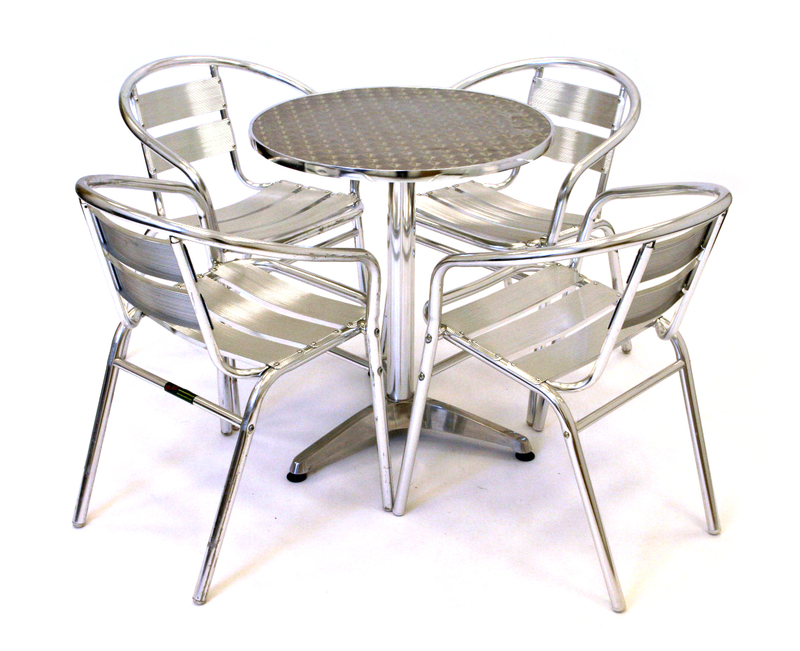 These patio sets would look great in the garden at home or at cafe’s and clubs etc. 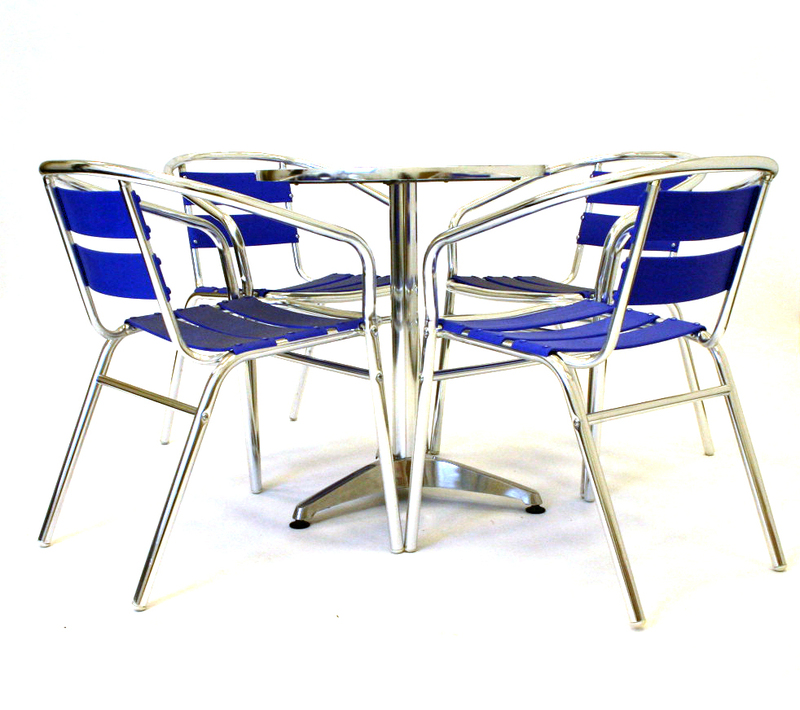 The table stands 70 cm high and the chairs have a seat height of 43 cm. 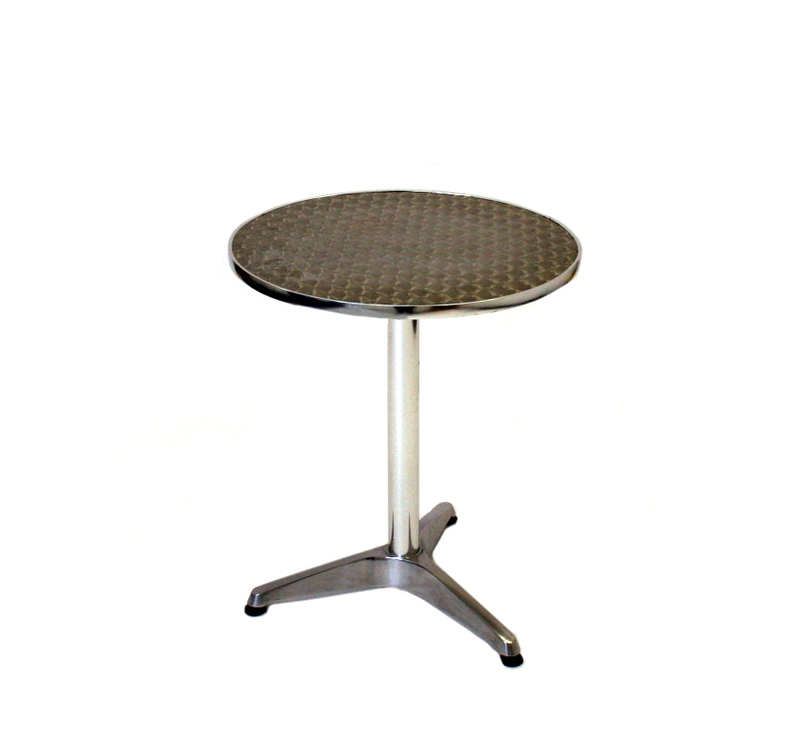 Tables need to be stored indoors or undercover. 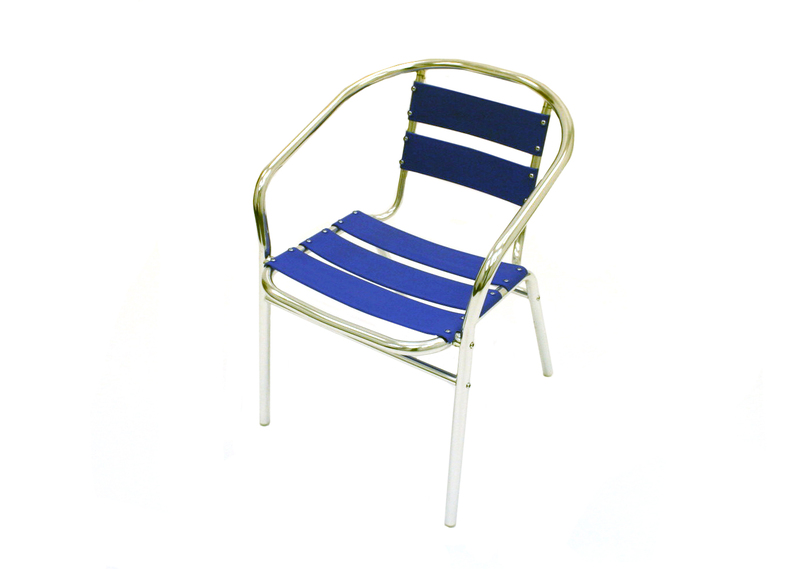 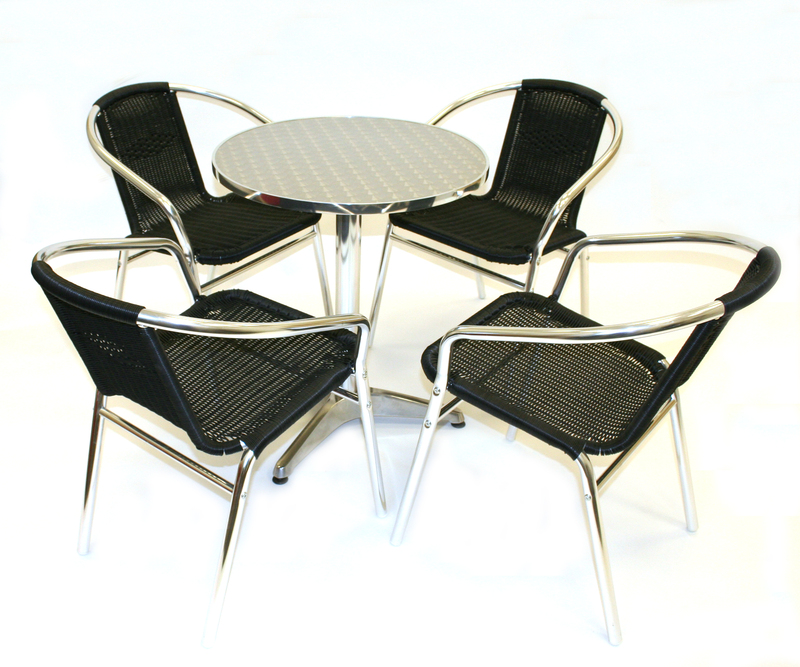 Our aluminium garden furniture sets also include a red aluminium bistro set and black aluminium bistro set. 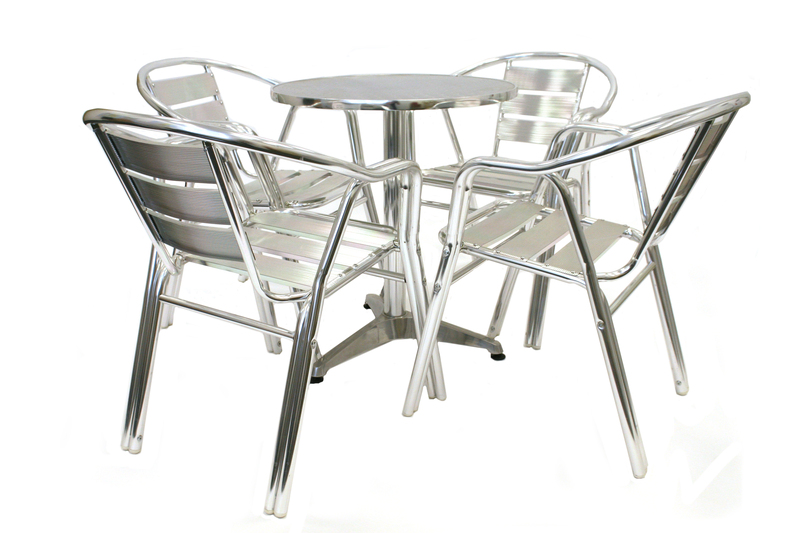 Alternatively you are also able to purchase the tables and chairs individually, blue aluminium chair and the aluminium round bistro table.